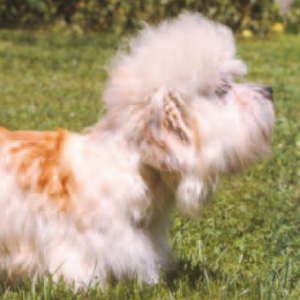 This fabulous looking terrier owes its name to Sir Walter Scott. 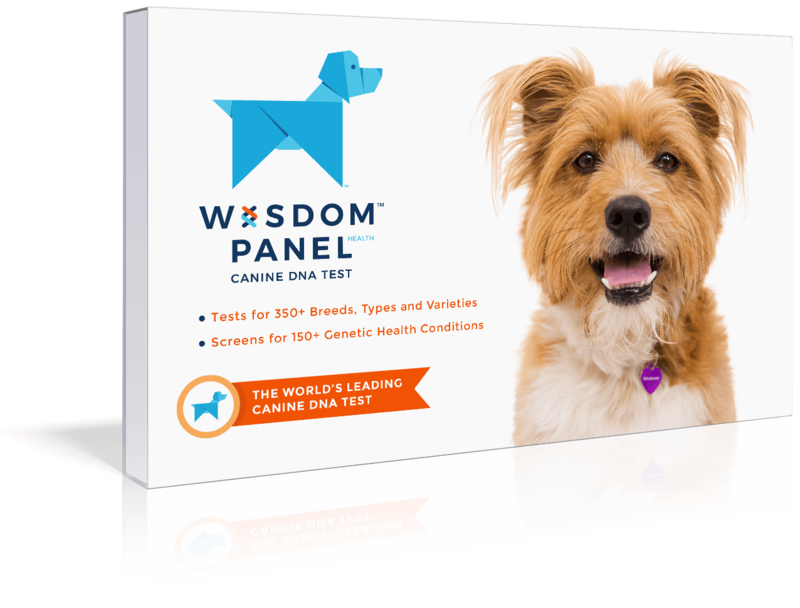 Active, independent and intelligent dogs. Enjoys dog sports such as agility, earthdog trials, flyball, hiking, retrieving, tracking, frisbee, musical freestyle and competitive obedience. May be reserved around strangers and might not get along with other dogs. 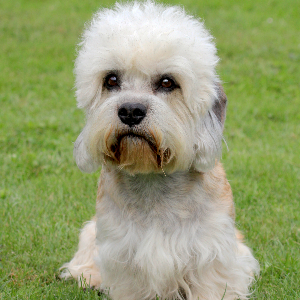 This fabulous looking terrier owes its name – and popularity – to Sir Walter Scott. 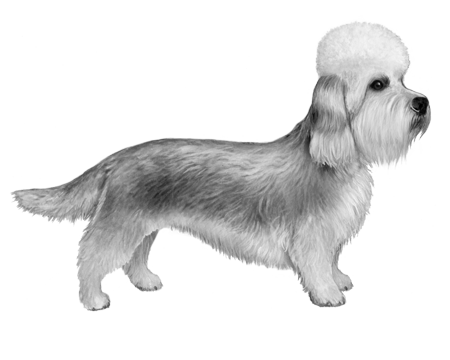 In his novel ‘Guy Mannering’, a character named Dandie Dinmont owns a pack of terriers. 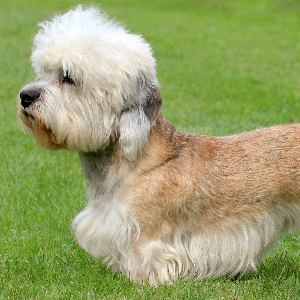 This makes this fun-loving and lively breed the only one to be named after a character from the world of fiction. 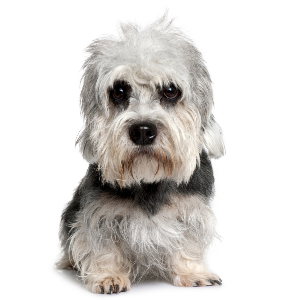 Originally from the border regions between Scotland and England, Dandie Dinmonts have been hunting badgers, rabbits and other vermin since the 1600s. 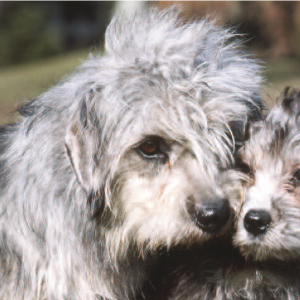 The breed’s personality made it a natural choice for export to the United States, and the dogs earned their keep during the transatlantic passage by killing rats and entertaining the crew. Nowadays they may not earn their keep so much, but they more than earn our affections.